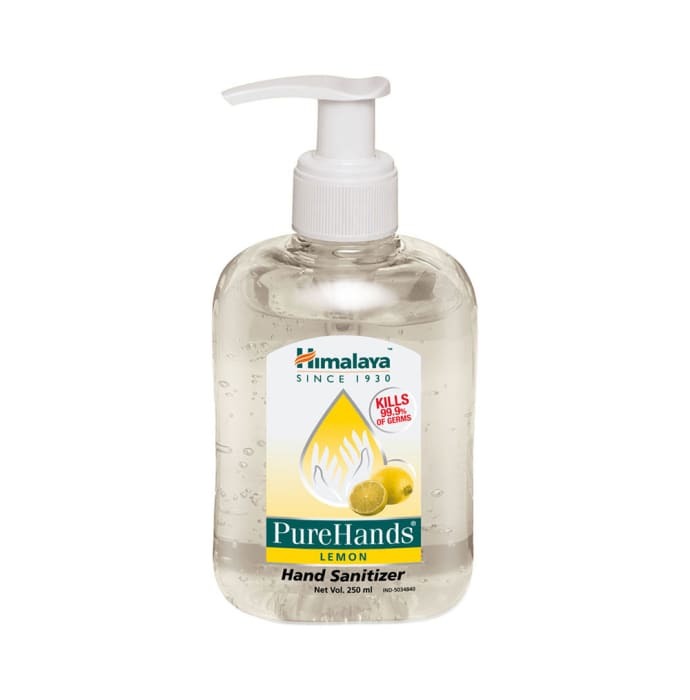 Himalaya Pure Hands Sanitizer contains a special blend of Hrivera, Coriander, Lime, Ushira, and Neem. Hrivera softens hands with its antibacterial, deodorizing and cooling properties while Coriander acts as an antimicrobial agent. Lime is an excellent source of Vitamin C and helps protect the skin from oxidative damage. Ushira removes excess heat and keeps the skin cool and Neem is used to treat various skin infections. Himalaya Pure Hands Liquid is an effective hand sanitizer and kills 99.9% of germs and prevents additional infection as well. Direction for use: Squeeze approximately 0.5 ml (coin-sized drop) of the gel on your palms. Rub well over the palms, back of hands, fingernails and grooves briskly, until dry. No water is required after use. 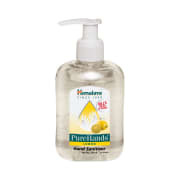 A licensed pharmacy from your nearest location will deliver Himalaya Wellness Pure Hands Sanitizer Lemon. Once the pharmacy accepts your order, the details of the pharmacy will be shared with you. Acceptance of your order is based on the validity of your prescription and the availability of this medicine.